Yes, the 2018 season is barely over. It's also the time to save on the 2019 season if you want your footy delivered over the 'net and not through a cable or satellite service. You can subscribe now and pay just $111.75 for a year. It will never be cheaper. At AFANA, we get a wide range of views on the footy coverage from fans. We do our best to lobby for solutions that help as many fans as possible. One issue that we hear is the cost to watch footy. We also hear that "my team isn't on this week" and many other less pleasant variations of this. What to do? Sign up now. 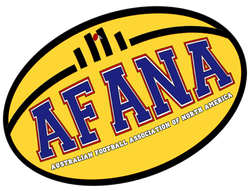 *WatchAFL is only available outside Australia. But you knew that, right? Offer applies to new subscribers only. Hours before Friday’s semi final between Hawthorn and Melbourne, the AFL announced The Black Eyed Peas and Australian rock music legend Jimmy Barnes will entertain footy fans at the MCG, and millions of viewers around the world, in the pre-game show of the AFL Grand Final on September 29. It will be the first time since 2009 that The Black Eyed Peas will perform on Australian soil, but it will also be the band’s first Australian performance since Fergie quit last year.